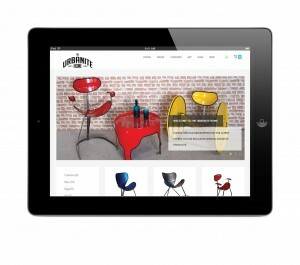 This is another fantastic fully-responsive website we’ve created! The Urbanite Home is a company, the owner makes urban-chic industrial furniture by up-cycling oil barrels – he also sells other of home furnishings such as art, rugs, and cushions. 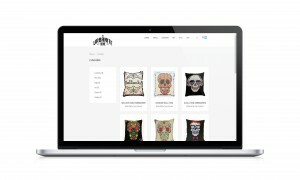 A responsive website is one designed to function on and fit all the modern Smart phones and Tablet devices as well as traditional desktop computers (without having to scroll sideways to view content). There are direct links to the company’s Google+, Twitter, Facebook and Instagram page in the form of icons, found in the footer of the website which makes it easy for customers to find them, view any new stock they might be interested in and spread the word about the company and expand their clientèle with friends and family via social networks. 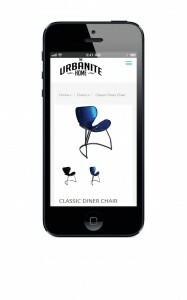 Along with real-time updates of their Twitter feed to view while on the website and a feature which allows customers to ‘Like’ their Facebook page from the Urbanite Home website. We can also offer auto-posting! For example, when the client adds a new article to his website, Facebook and Twitter are automatically sent this news, and he saves time while still benefiting from extra traffic to the website – and we can do this for you! The site was built using Open Source Content system, which makes is very simple for client (after some training from Eoin) to edit the site’s content, add new stock listings, view order lists, etc. 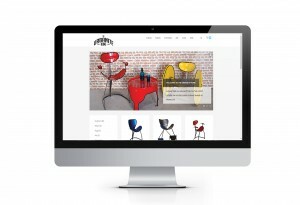 OpenCart is also great for E-commerce websites as it’s so easy to pay for products. The website offers two forms of payment which are via PayPal, a trustworthy indirect way to pay and also by letting the customers enter their credit card information on his site and the processing is passed in the background to www.cashflows.com for processing. Simplistic and secure, customer buying satisfaction is ensured through the payment we use for your website! Check out The Urbanite Home website by clicking here!